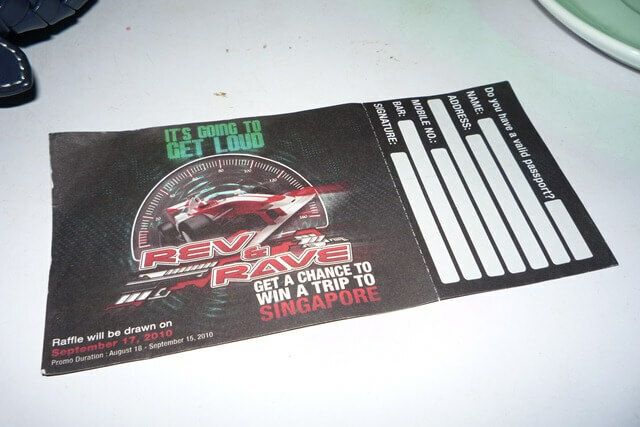 All you need to do is to order any of the Rev&Rave drinks or barchow from participating bars and get a chance to win a trip to Singapore to attend the 2010 Grand Prix Season Singapore and other cool prizes! 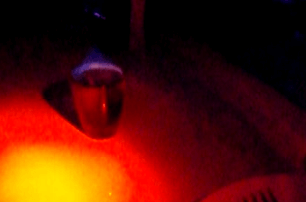 I tried the Rev&Rave drink at White Avenue.Â To tell you frankly, I got tipsy happily and I forgot to ask what their Rev&Rave drink is.Â You just find out for yourself okayâ€¦ All I can do is to describe the drink and the taste of it the best that I can remember. I also made friends because of the F1 Singapore Grand Prix Season.Â I made friends not only here in Manila but also friends from outside the country like Vietnam, Singaprore and UK.Â This is because I receive a lot of emails from Formula 1 fans and they ask me a few questions about the F1 race. Here are some love mails I receive from them. Are security tough with lenses. In Australia you arent allowed 300mm but they dont like big cameras and monopods. Some security are ok and some arent. I just want to bring a 5D and 70-200mm lens. Are you going this year? If so I look forward to your shots on your site. Just to let you know that i had a great time in singapore for the race, but had to leave when hamilton passed the winning line due to catching the train back to the airport. Found out that the last train to the airport was 23.15pm, so i had to avoid the ques, but well worth the travel. Looking forward to this years racing. It was all worth it. Yes I had some good shots. I will post it soon, I just don’t have the time right now….dami kasing pictures. Infact I have not selected yet. What about you? hows your coverage? Too bad you got sick. Guess what, I was able to shoot the drivers few meters away from me…..really worth it. Hello Hannah it has been a while since we last spoke. Understand you are having great adventures on the waves. Anyhoo I thought I’d let you know that they have started distributing the Singapore F1 tickets here in Singapore.Â I got mine yesterday. If you are as curious as I was before I got them, maybe you’d like to see how they look. I got them on my blog. Anyhoo you take care and keep enjoying those waves. Till next time, good bye and God bless. Hello! Found your site as I was searching for F1 Singapore photos. I can offer a place for you to stay in when you come next year! And the pictures which u put up are very clear and well taken! Haha… Peace be with you! …and a whole lot of email love dating back to 2008. To me, F1 Singapore is more than just a race and zooming cars.Â It’s also experiencing the lovely city of Singapore, the streets with the loud zooming cars and meeting the people you talk about F1 with online like these dudes ang gals above.Â It’s the good kind of loud.Â And every time you hear the cars ZOOM… you’re adrenalin jumps out… and you see other people chilling and walking around… I have been to the Singapore Grand Prix twice and I will go there again and again and again if circumstances allow. Heart warming messages from your fans Hannah!! You deserved to win this trip to Grandprix! PS Crazy pic! Mukhang hindi pa naman bangag hehe! Awesome pic of that F1 car! You do look giddy/ tipsy here! lol!